Professor says there is no doubt infamous Bin Laden tape is fake, being used to deflect 9/11 "conspiracy theories"
A leading expert on Osama Bin Laden has officially gone on the record saying that he believes the so called "9/11 Confession" tape, released shortly after the attacks, is an outright fake that has been used by US intelligence agencies to deflect attention from “conspiracy theories” about 9/11. Professor Bruce Lawrence, head of Duke University’s Religious Studies program, joined Kevin Barrett last Friday on his radio show (gcnlive.com, 2/16/2007, first hour) in his first public interview since comments he made last year indicating that he believes Bin Laden may be dead and that many of the newer tapes are either fake or consist of old audio and video. The "Confession" video, played ad infinitum in the wake of the attack on Afghanistan in December 2001, was magically found in a house in Jalalabad after anti-Taliban forces moved in. It featured a fat Osama laughing and joking about how he'd carried out 9/11. The video was also mistranslated in order to manipulate viewer opinion and featured "Bin Laden" praising two of the hijackers, only he got their names wrong. 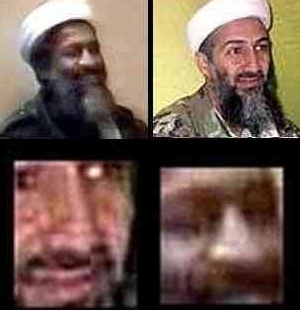 Despite the fact that the man in the video looks nothing like Bin Laden, the CIA stood by the video whilst many, including Professor Lawrence now, have declared it an outright fake. Lawrence is the author of a book entitled Messages to the World: The Statements of Osama Bin Laden, which translates Bin Laden's writing. In January 2006 he told ABC news that a newly released audio tape was missing several key elements and "was like a voice from the grave". The Professor had analyzed more than 20 complete speeches and interviews of the al Qaida leader for his book, and, while the CIA confirmed the voice on the tape as Bin Laden, Lawrence questioned when it was recorded and declared the timing of its release as politically convenient. Last Friday Lawrence, citing informants in the US intelligence apparatus’s Bin Laden units, told Kevin Barrett that everyone knows the tape is fake, adding that the hoax has been kept alive because it is politically useful to those who wish to bolster the official 9/11 conspiracy that 19 hijackers directed by Bin Laden from a cave carried out the attacks. We have previously covered the scores of times Osama Bin Laden has been used as a tool of fear and control as a tried and tested method whenever the going gets tough. Many tapes have been determined to be total fakes by voice analysis or simply re-hashes of old material. Research led us to discover that the most recent "Al Qaeda" video releases featuring Bin Laden had already featured in a docudrama The Road to Guantanamo. The media tentatively even admitted that it was the government that released the tapes. In a separate revelation, AP reported that an expert on Islamic extremism deemed the Al Qaeda footage as so out of character for al-Qa'ida it could have been taken by a security agency. In June 2006, Muckraker Report investigative reporter Ed Haas contacted the FBI to ask why 9/11 was not specifically mentioned on Bin Laden's wanted page on the FBI website. “The reason why 9/11 is not mentioned on Usama Bin Laden's most wanted page is because the FBI has no hard evidence connecting Bin Laden to 9/11," he was told Rex Tomb. In Bin Laden's first interview after the 9/11 attacks he denied any involvement. This isn't like a kid caught thieving in a sweet shop - terrorists always claim responsibility for attacks they have perpetrated otherwise why bother killing people to send a political message? Then came the now thoroughly debunked "Confession Tape". The fact that the FBI does not consider the 'confession tape' as reliable evidence of involvement in 9/11 was subsequently completely dismissed by the Washington Post and others who still say the tape proves that Al-Qaeda have, "proudly taken responsibility for the hijackings."